Choose three Pokemon from your opponent's Bench. This attack does 20 damage to those three Pokemon. Find, HP-wise, the most powerful live Pokemon on your opponent's Bench. The 70 damage is dealt to that Pokemon. 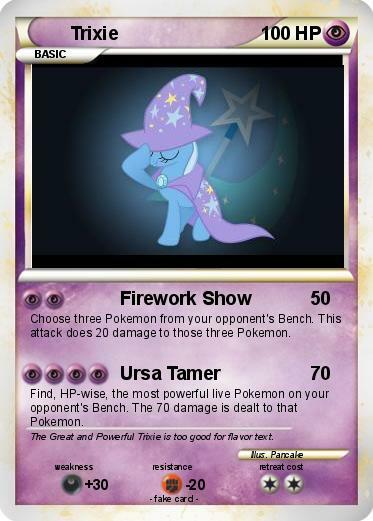 Comments : The Great and Powerful Trixie is too good for flavor text.